If you are looking for a guide for students to get started, you can find that here. Otherwise, please read ahead to find out about the invitation process. 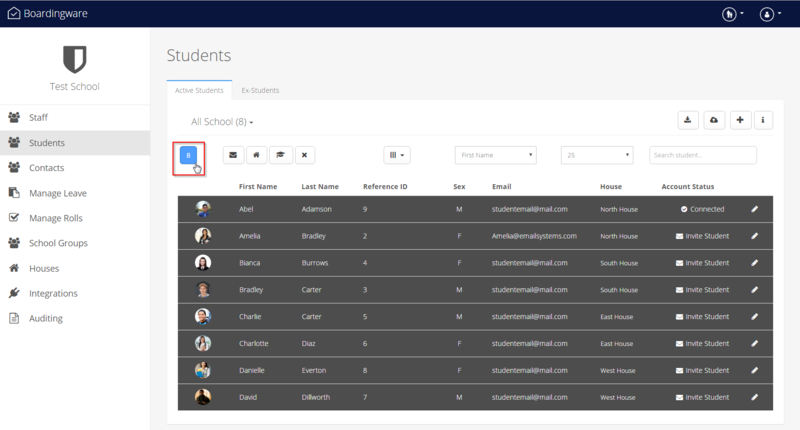 In the School Management page under the Student tab, click on the names of the students you would like to invite, or select all students by clicking the 0 box above the students names. 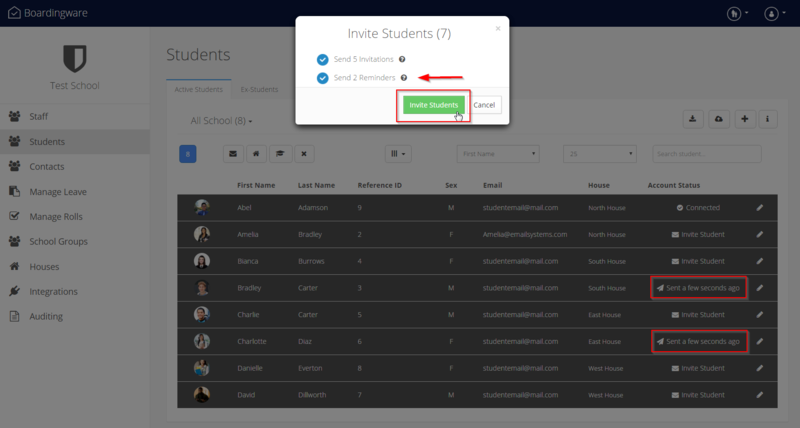 You will be prompted with a 'Invite Students' pop-up to confirm the students you wish to invite, once confirmed click 'Invite Students'. Note: The system will detect if there are pending invites, and send reminders. 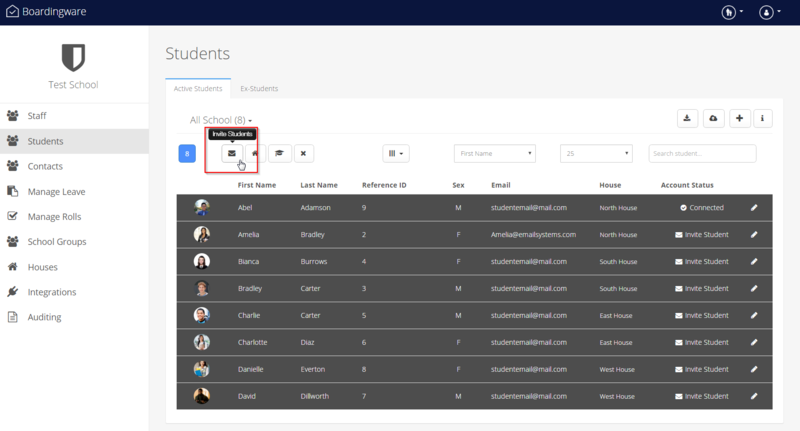 You have now sent your invites to students to create their accounts!